The Battle on the bridge! Toru vs Terri! Discussion in 'Pokémon Role Play' started by Toru, Mar 17, 2011. The Unova region. One of the many regions of this world that like all the others, inhabit an amazing group of creatures known as Pokemon. There are many different species of Pokemon, and even though we know so much about them, there are still many mysteries we don’t know about them, and even more that haven’t been seen before. Humans have shown great interest in Pokemon, some using them as playmates, others as loyal friends. However, the most popular thing to do with Pokemon is use them for battle. People who do such a thing are known as Pokemon Trainers, and the majority of them all have one similar goal – To get all eight Pokemon Gym Badges, and defeat the Elite Four to become the Champion of the said region. The Trainer we’re focusing on today is just one of those few. Toru is currently in a Pokemon Battle against the Gym Leader of Driftveil City, Clay, to earn his Ground Badge. Clay, with his large build, held his ground, just as his final Pokemon did on the rocky battlefield, large green gems dazzling around him, and colossal excavating machines towering above the arena. The black and red furred Pokemon replied with a grunt, and lunged, swinging its large, steel – coloured claws at the medium sized blue Pokemon. Toru grinned, as usual, and pointed, his left hand holding onto his light brown hat, with blue goggles around its crown. The Dewott let out a small roar, and drew both of its Scalchops, as they emanated a blue aura and grew into large blades. Lunging as the Excadrill did, Tharros the Dewott sliced at it in the shape of an X, before landing behind it on the ground. Clay’s Excadrill hit the ground, fainted and weak. Clay’s expression turned from a serious, hardy look to an appearance of pure glee. Toru crouched down and fistbumped Tharros, who seemed pretty proud of his own success. Both Trainer and Pokemon looked at the Gym leader, with lots of self – respect. Clay walked up to Toru, and nodded, before reaching into his pocket. Toru nodded back, and happily took the badge, before pulling out his blue and black badge case from his, carefully putting the badge into it’s rightful place, and slammed the case shut. With Dewott in tow, he stood on the rising platform and waved to Clay, as he rose to the exit of the Gym. When Toru came out, he jumped and punched the air, almost erupting with excitement. He’d really improved since his battle with the last Gym Leader, Elesa. Her sleek and graceful battle style really gave Toru some trouble. In Toru’s words, she “Whored Volt Switch”. After a trip to the Pokemon Center, Toru decided to let off some steam on Driftveil Bridge. He really enjoyed walking on it the first time, and thought he’d take in the sights the bridge held once again. Toru took his first step onto the bridge, and took a sigh of relief, looking up at the clear blue Unova skies. Toru was getting closer and closer to his Elite Four Challenge, which he was very, very confident about. When Toru looked down, however, he saw a familiar sight. Toru could only imagine the idea of his precious Dewott cutting through steel, crushing buildings with deft swipes… He couldn’t take it any more. He rushed up to the feather and went to pick it up, but accidentally grabbed a girl’s hand. Blushing, Toru jumped up and stood straight, before looking at the girl clad in mostly purple. As he adjusted his hat, he asked the brown haired youth. Re: The Meeting on the bridge. Terri's eyes glittered as she grinned at her purple and white badge case, with her newly earned Bolt Badge firmly placed in the fourth hole. She had generally had trouble with gaining this one; none of her PokeMon knew any ground-type moves, and even if they did, the many Emolga in Elesa's gym would have proved to be a pain in the backside nonetheless. Still, the orange and golden badge glimmered excitingly in the light of the sun drifting over Nimbasa City. With a flick of her hair, Terri turned to look up to Lamp, her loyal Scolipede. Lamp was peering over Terri's shoulder to also admire the Bolt Badge; a badge that she had surely helped to win. "Where'll we be heading next, huh, Lamp?" Terri questioned with a grin and a stamp on the ground. She was an outgoing person for the most part, minus the occasional awkwardness around strangers. But around Lamp and her other PokeMon, she knew that she could always be herself and say whatever she liked. Most of the time. Lamp clicked and chirruped a little before turning to the west; pointing her neck towards the gate leading to Route 5. Terri smiled and waved a farewell to Nimbasa; probably her favourite city she had visited in Unova so far. Castelia was huge and quite beautiful, and Burgh was greatly inspiring, but Nimbasa was just much more to the liking of Terri who hailed from the Village Bridge which was just off of Lacunosa Town. She had started her adventure after being flown to Accumula Town by her uncle who lived there, and went to Straiton City after that. She had surely grown stronger since then; and moving onto Route 5 was definetly a big step in her journey. With a sigh and a smile Terri mounted Lamp. She trotted off to the gate between Nimbasa and Route 5 and as she reached it she stopped so Terri could speak to the gate attendant for a moment. "There are performers gathering on Route 5!" the attendant told Terri with a weak, almost fake-looking smile. "Em, sorry, I have to do this for every one who comes through. I can't help but feel bored sometimes, y'know." The slightly cold, fresh air that Terri beathed in as she and Lamp entered Route 5 was refreshing and enthralling, and the sound of street musicians joining in together and the tapping of dancing toes excited them even more. There was grass to the north of them and trainers waiting for battles, but if they were honest they just wanted to head towards Driftveil and rest for a moment there. Lamp trotted further on towards Driftveil Drawbridge eagerly. Terri had quickly dismounted Lamp and currently stood beside her faithful PokeMon with her fists placed upon her hips. She stared up in awe at the magnificent red bridge; it looked amazing, especially to Terri who came from a very modest, old-fashioned bridge. The colours were dazzling, maybe even striking at first, but as she gazed at it in amazement for a bit longer, the colours became more homely than before. "We'd better hurry across this bridge, huh, Lamp?" Terri giggled enthusiastically, "or it'll be night-time before we know it." She and her PokeMon skipped onto the bridge quickly - until Terri was distracted by something. Her eyes sparkled excitedly. They glittered as excitement shone and danced in her eyes, and she walked over to the spot that her vision was planted upon. There was a shiny feather that had just floated downwards onto the bridge off of birds that spiralled the skies above; a Muscle Wing. They were used to boost PokeMon's performances, to make them stronger. They may do that, but Terri just couldn't help but be drawn in by the sparkles. She quickly reached down to pick it up, but as she did so, her hand met another. She withdrew quickly, standing back up straight with her cheeks presumably bright red. The teenaged boy that stood before her wore a tan hat and had clearly bushy hair, and was blushing too. Terri managed to urge a small smile before loosening up a bit to smile fully at him. "Oh hey, sorry about that," the teen said kindly with a smile. "Are you okay?" "Oh, I'm fine," Terri replied, a broad smile stretching across her face. It may seem that her muscles ought to be tired by now, but she was used to smiling this much. If anything, she was a smily person. After a moment of silence, she felt it necessary to urge out one or two sentences to stop it. "Oh, um, I'm Theresa, Theresa Broadbent, but everyone calls me Terri." She thrust out her right hand and nodded towards it, hinting towards shaking. The girl, who seemed just as surprised and embarrassed as him introduced herself as Terri. Toru quickly returned to being his normal self - he wasn't good at kind of thing, but tried none the less. He replied with a chuckle and shook her hand, his eyes sometimes darting around. "A pleasure to meet you Terri, the name's Toru,"
Toru then took a second to look down at his Dewott and gestured towards it. "And this little warrior here is my Dewott, Tharros. So, you're heading to Driftveil are you? I bet it's because you're challenging the Gym, ri-"
Toru froze, and looked to his left. He'd only just realized, but in front of him, was a massive, deep ruby coloured Pokemon with peircing amber eyes. It looked like a giant centipede. Toru screamed in shock and fell backwards, crawling and scurrying away from the Pokemon, still locking his eyes with it, and keeping a hand on his hat, of course. It was a keepsake of his. Tharros merely looked at his Trainer and sighed at his foolishness - even Tharros knew what the Pokemon was and that fact it wasn't hostile. "Wh-wh-what is that thing? It's not going to eat me, is it?" As Toru shakily got up on to his feet, he remembered. It was a Scolipede! Toru's blind fear, in his opinion, must have made him forget about what exactly it was, or maybe he was trying to convince himself he wasn't a fool. Either way, he knew Venipede, Scolipede's first form, could only be found in Pinwheel Forest - this must have been Terri's Pokemon. With a sigh of relief, he carried on talking. "Oh gods, sorry about that, heh. So yeah, are you coming to Driftveil to challenge Clay? I just defeated him - I decided to come here for a rest, but that's not the point. If you want, I could take you to the Gym, or..."
Toru locked eyes with Terri, and pulled out a Great Ball, tossing it up and down, as he felt a burning urge inside of him. "Do you want to battle? Your Pokemon looks as strong as most of my Pokemon, but you're dealing with a Trainer who's one step ahead of you. Maybe I could test your skills before you head to Driftvieil? And besides,"
Toru grinned and looked down at the Muscle Wing in the middle of the two Trainers. "You wanted that Muscle Wing didn't you? The person who wins the battle gets the Wing! Fair enough, right?" Toru had put Terri into an irresistable offer - it was time for another battle, and Tharros seemed as enthusiastic as Toru did. The boy also thrust out his hand and shook Terri's in return. He was evidently named Toru, or at least introduced himself to be so. Toru, Terri thought in a hurried voice inside her head, that's a strange name. Pretty cute and unique, though! Terri was a sucker for unique things; and her heart melted at even the slightest hint of anything cute - whether or not it really was of her mindset chose it to be. She smiled in response and tugged at the corner of her purple plaid shirt. As Toru waved in the general direction of a PokeMon stood beside him, he said, "And this little warrior here is my Dewott, Tharros." Terri drew her hands up to her chest as she clenched them into fists. Her mouth curved into an excited o-shape and again her eyes glittered. A-a Dewott! she thought, It's so adorable and strong looking and rare ... it's so great! The little turquoise otter nodded towards Terri in a graceful manner - causing her to explode with adorableness inside. "He's so cool looking," she said through clouds of blush on her face. "So, you're heading to Driftveil are you?" Toru questioned with a casual smirk, "I bet it's because you're challenging the gym, ri-"
Just as Terri breathed in to answer, Toru froze before squealing and falling backwards. He pushed himself away from Terri with an alarmed, shocked or even scared look on his face - Terri looked to him and noticed that has line of vision matched up with Lamp's cunningly golden eyes. Lamp's eyes widened and she tilted her head to the side, signalling confusion or puzzlement, and she clicked to herself vaguely following the sound of her species name. "Wh-wh-what is that thing? It's not going to eat me, is it?" Toru burbled out shakily. Lamp pulled her neck backwards defensively; somewhat offended. Terri giggled. It wasn't the first time that someone had mistaken Lamp for a huge beast; when really she was a good fighter but a huge softie. Tharros didn't seem to impressed, either. With an uneasy heave, Toru was up on his feet. It was clear by his loosening expression that he had realised that Lamp was just a Scolipede. It amused Terri that the whole time Toru was down he was holding tightly onto hishat. It must be rare. "Oh gods," Toru chuckled once he was back to normal, " sorry about that, heh. So yeah, are you coming to Driftveil to challenge Clay?" Terri nodded. "We just came from Nimbasa after defeating Elesa, but Clay sounds like a toughie." I just defeated him - I decided to come here for a rest, but that's not the point. If you want, I could take you to the gym, or ..."
Terri noticed the grin spreading across Toru's cheeks and couldn't help but smile too. He pulled out a Great Ball and tossed it in his hand; it was clear that he was thinking of a devious plan. This sparked Terri's imagination and she too began to grin. Toru offered to battle. Terri couldn't help but blush, Tharros looked so trained and disciplined and cool against Terri's fun-loving Lamp. "You're PokeMon looks as strong as most of my PokeMon, but you're dealing with a trainer who's one step ahead of you. Maybe I could test your skills before you head to Driftveil?" Again, Terri's eyes sparkled. The idea of a battle with this trainer excited her, it had been a while since she had battled a fellow adventurer, another teen dreaming to collect every Gym Badge. With a grin, both trainers' eyes darted to the Muscle Wing between them. Maybe it as just in Terri's mind, but it seemed to shine even brighter now. "You wanted that Muscle Wing, didn't you?" Toru remarked with a grin, "The person who wins the battle gets the Wing! Fair enough, right?" Terri breathed in deeply as she turned up her head to nod, and let it out sharply as her chin was thrust downwards. Lamp clicked and shuffled around on her feet excitedly, her eyes curving into a slightly menacing but positive look. "I know that this is just the long route to not-getting the Wing, but it sounds like fun!" exclaimed Terri enthusiastically as she fiddled with the Pokeballs hooked onto her belt besides Lamp's. "What're the rules, would you say? Oh, you make the first move if you please." Terri giggled and smiled before trying to lay down a more serious expression - something of which she was not good at. She gazed up to Lamp with a smile and Lamp nodded and clicked in return. Eh, she thought, this sounds like a good chance to train and get battered whilst doing so! The girl by the name of Terri seemed quite odd, but pleasant and cute at the same time, which appealed to the curly – haired Trainer. Toru couldn’t tell when she was being serious or not. Then again, most people took Toru likewise. Oh it is on now. Toru thought to himself, yet another grin curling onto his face. Terri and Lamp were psyched up, and so were Toru and Tharros. The battle for the Muscle Wing began here! As anticipation increased, Tharros became pumped up and ready to fight, He attained his personal fighting stance, and looked at Toru, waiting for his next response. Toru put his left hand in front of his loyal Dewott, and chuckled a little. Toru took a glance at Terri’s Pokeball belt – she had about 4 maybe 5 Pokemon. With that sentence, Toru picked up the Muscle Wing and attached it to his hat. It would be easier and safer to leave it there for now. Actually, it looked quite flashy. If he won the battle, maybe he’d wear it in the hat as a keepsake. Toru then nodded at Tharros, who nodded back. Both Trainer and Pokemon jumped back to give space for the battle, and in midair, Toru reached into his coat and pulled out a lightweight blue disk, which he threw into the middle of the bridge. As it became stationary, four metal appendages sprouted from its bottom and fixated themselves into the ground, to prevent the disk from moving. The top of the disk then glowed, to reveal the outlines of a Pokeball. The dazzling white hologram then expanded into a regulation sized Pokemon battlefield. Toru them slammed his left fist into his open right palm and bellowed out, across the bridge. The tremendous roar shook the very soul of Driftveil Bridge, and all the Dukletts roosting on the top flew off in panic; people on the bridge started to gather around Toru and Terri. Toru beckoned Tharros, who jumped into his part of the arena, and held his left hand up, ready to parry attacks, and his right hand on his right scalchop, ready to attack. Toru wanted to leave an impression on the girl, so decided to use his strongest Pokemon. Terri giggled as the boy's mouth slipped into another smile. Lamp's legs spread out a little to gain a more ready composure and she cracked her neck excitedly. She let out a moan of her cry as if that one noise was full of all of her troubles and stress and she had just let it all go, and her eyes sparkled with delight and enthusiasm. Terri reached over and patted her on the back. Toru laughed as he told his PokeMon off for being too excited. "We haven’t even started the battle, yet alone decided the rules!” After a slight pause, Toru began explaining the rules for the battle. 3 on 3, no healing items, but hold items are okay. I've got it~! Terri sung in her mind. "Now then," Toru stopped speaking and instead reached down for the Muscle Wing before hooking it onto his hat. Terri couldn't deny that it looked pretty good; maybe she should let Toru win just so he could keep it there. What? She thought, I won't let myself lose, not ever. She grinned her most enthusiastic smile as Toru jumped back from Terri and she tried her best to follow. With a flick of his wrist he threw down a small-ish blue disk and it rooted itself to the ground before projecting a hologram that seemed exactly like an official PokeMon battlefield. Terri's eyes glittered with amazement; she couldn't say that she had ever seen this before, it was so amazing and awestriking. The teenager standing across from her pounded his fist into his other hand and shouted out, shaking the whole bridge as it seemed, "LET'S PARTY!" Ducklett's flew and feathers dropped into the water, people murmurred and gathered around the two teens. Terri burst out in giggles before nudging her Scolipede playfully and Lamp clicked a little too. Toru gestured towards Tharros who was currently looking very excited and ready as he pounced into his place and pulled his fist up readily. Terri pondered on this. She could make it a disadvantage for Toru or she could make it a disadvantage for herself ... she wondered as she fiddled with the PokeBalls clipped to her belt. Suddenly she clipped one off, a normal PokeBall, clicked it open and withdrew Lamp. After doing so she attached it back on and pulled out a Great ball, thrusting her hand in the air happily. She threw it up in the air joyfully and watched it fly upwards. As it spiralled down she pulled back her hand and thrust it outwards, hitting the Great Ball's opening button and calling out, "Go, Scoop!" The Great Ball swirled forwards and opened quickly, stopping in mid-air to show a red beam which curved into the shape of a jagged sphere with bat-like wings. As the Great Ball closed agan and Terri returned it to her belt. A Woobat appeared where the red beam was before and it wiggled its nose and fluttered its wings excitedly. With a shake of its round body it called out, "Woo, Baaaat wooo~!" "So, I guess we're ready to rumble, huh?" Terri grinned. "Let's begin then! Tharros, Aqua Jet, and then follow up with Night Slash!" It has been known for certain Pokemon to be born with moves from different Pokemon, known as Egg Moves. The Oshawott Toru recieved was lucky enough to be born with the move known as Night Slash, which gave it an advantage against other Pokemon - Tharros had been able to practice with it's Scalchop from an early level. Tharros nodded to Toru's command, and held itself in a martial arts stance - The Horse Stance, to be precise, and covered itself with a deep blue fountain of water, and maliciously beared it's teeth at Scoop. In a flash, it disappeared - all that could be seen was a trail of water. In a split second, a turquoise blur apppeared behind Woobat - Tharros had only used Aqua Jet to gain speed. The young 'Samurai' then drew it's right Scalchop. Once it came into contact with his paw, the shell was covered in a dark aura. Tharros then lunged forward, and aimed a swipe at the Woobat's furry centre, before landing on the ground, it's back facing Scoop. Terri smiled and unbuttoned the top button of her dark purple plaid shirt. She tugged at one of the tussles on her scarf to cool her a little; things were sure to heat up a bit more soon. Eagerly she grinned and pulled her fingerless gloves further up her arm, wiggling her fingers. Toru started by commanding his PokeMon to use a double move; aqua Jet then Night Slash. Glimmering in bewilderment were Terri's eyes; never before had she seen Night Slashing Dewott! 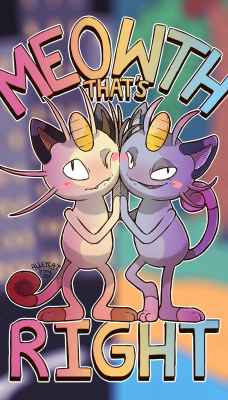 She was lucky even to have an uncle who was alright with TMs, but Dewott with that move truly baffled her. She would have to question Toru on it after the battle. His loyal partner nodded and poised itself before continuing. It looked wonderfully graceful in that position, scalchop held tightly in paw. "Okay, Scoop, brace yourself; this'll hurt but it's just the start, you can hold it!" Suddenly the Dewott was drenched in a veil of whatever before flashing an annoyed look at the opposing PokeMon. With not another breath it disappeared in a plume of water - until it quickly flashed behind its foe. The startled Woobat turned around quickly, and as he did so, his owner shouted, "Quick, get ready to brace the attack then Charge Beam!" Terri had only just remembered that she had taught her precious Woobat Charge Beam; her opponent was surely putting up a fight, so why shouldn't she? She twitched as she watched Scoop being hit by Night Slash; he looked hurt by this Super Effective attack but not quite put down already. Scoop wavered a bit in mid-air; the strong attack hurt him quite a lot and it appeared that his wing was slightly damaged. With a wiggle of his nose the brave little bat PokeMon opened his mouth and shot a Charge Beam at Tharros; hoping to hit him as he drifted behind the Woobat. Just to try and make it more certain that the move would hit, Terri yelled another command. "Good, now Scoop; fire a Gust in the direction of your Charge Beam to carry it on better!" She had been waiting for a good time for Scoop to use this combo since she had taught him Charge Beam. It wasn't 100% certain that it would hit Tharros, but it at least stood a chance. Tharros turned around quickly, and saw the faster than normal Charge Beam come speeding towards him, a look of panic on his face. Tharros tried to quickly bring his Scalchop up quick, but his reactions failed him. Tharros was hit directly in the chest by the bright yellow beam, and the Gust attack sent him flying backwards, into the air. Toru looked at Tharros as he hit the ground, and clenched his fists, before directing his Dewott once more. "Okay Tharros, let's get serious. DOUBLE Razor Shell on Scoop!" Tharros made a few gestures and noises and cockily grinned, readying it's 'blades'. "What, you want to try something new? Very well, but don't go out of hand, okay? I don't want something bad happening." This had happened once before. Toru had commanded Tharros to make up a battling technique on the spot - the last time he tried it, It resulted in their loss. Tharros was aware of the consequences, and still wanted to try. The Otter Pokemon nodded and drew his scalchops, gripping each one firmly in each paw. He then ran back the the Woobat, closing the distance between the two Pokemon, and jumped, soumersaulting serveral times in the air, before holding each scalchop above his head. Then, like before when Tharros was fighting Clay, each scalchop glowed and reformed themselves into small blades - the left one a yellow - green, and the right one a deep blue, like the water from the previously used Aqua Jet. The Dewott then descended on Scoop and slashed the blades at it in the shape of an X. Toru could see what Tharros was up to straight away, and replied to Terri. "How do you like that? X - Shell Scissor!" Terri squeeled a little as she noticed Tharros being hit by Scoop's Charge Beam and Gust. Though he had been hit he was proving to be one tough cookie, he looked a little effected but in no way was he falling down. Neverless, surely Scoop still had a chance? Terri's chest tightened a little as Toru commanded that Tharros attack again, this time with a double razor shell. It seemed that Tharros had other ideas, however, and Toru let him try his own thing for now. As the Dewott drew his Scalchops readily, the other trainer could tell that it would be a strong physical move he planned. She had know idea what it would be like, just the general gist of something - something very strong - coming. She remembered that Scoop knew no moves to protect himself or raise his Defense, so she shouted the only useful thing she could. "Scoop, careful what you're doing here!" she called out. "Don't try to swerve and waste your energy, conserve it! Pour it into this - Scoop, make a quick Future Sight!" Scoop quickly shook himself and glowed with psychic powers for a moment or two, and then he stayed put and braced himself for Tharros coming. He moved back a little as the strong Dewott pulled back his differently coloured, beautifully glowing scalchops and thrust them at the foe in an X-Shape - somewhat akin to an X-Scissor attack or a strange Razor Shell. Scoop darted from left to right for a little, trying his hardest to float back upwards. In the end he managed to grab the biggest amount of strength he could and pull himself just above the ground. He was quivering in and out of consciousness, it seemed. Terri nervously bit her lip. She could tell that it was near the end for Scoop, though he still was determined and had a broad smile on his face. This lifted her up a little higher, she smiled a little as the Woobat turned around to grin at her. "Okay, boy, you've done well," Terri smiled happily as she called to her loyal PokeMon, "Try to end your turn in this battle on a high, nyeh? 'Kay, Scoop, use Psychic!" The small blue ball of fluff fluttered his wings harder than before and let out a call of 'Wooooooooh~" before he glowed more violently than before and shivered a little near the end. He flapped his wings strongly and bowed down as a wave of invisible telekenetic power could be felt surging across the battlefield, just running to meet the Dewott in front of Scoop. Toru roared with excitement as the attack brought down Scoop, who was struggling to keep itself up in the air. It looked like it was almost about to faint. As Tharros got ready to finish it off, he doubled up and slammed his paws onto his head, writhing in pain and scrunching his eyes up. Future Sight just took its toll. However, Tharros wasn't done yet. The Otter Pokemon suddenly felt a surge of energy. He opened up his eyes, which were now glowing the same deep blue as the water he controlled, and a small circle of water danced around him, as Tharros' ability, Torrent, came into affect. The Dewwot's Water attack now did incredible amounts of damage, but it wouldn't last for long, not with Tharros in this state. "Alright Tharros, finish this with your Torrent boost! Razor Shell!" As Scoop flied hastily towards Tharros, he reacted to this and drew his glowing Scalchop, which he held in both hands this time. The Scalchop formed itself into what appeared to be a blue glowing representation of a Japanese blade; a katana. Toru had heard something like this happening before - The Oshawott line were meant to use a sword style similar to ancient Japanese Samurai, and when they perfected their Razor Blade technique, the Scalchop would temporarily become a powerful Katana. Tharros' seemed only impermanent due to Torrent, though. The durable Tharros leapt and swung the sword through the Woobat, but he couldn't endure anymore of Phsychic on his brain. The Scalchop reverted to it's original form, and Tharros collapsed on the floor. The crowd, even larger now, applauded both Trainer's performance. Toru took his Pokeball and sent Tharros back into it, acknowledging it's strength. "Niiice Terri, you've defeated one of my strong Pokemon! But, it's not over yet! It's time I brought out something else..."
Toru readied an Ultra Ball and chucked it at the ground, shouting the Pokemon's nickname. The ball burst open to reveal a basic cell - well, a Cell Pokemon. It had a focused look on it's face, or shall we say nucleus, and was prepared for the worse. Well this is what Toru hoped - he knew his Solosis was quite a nervous one, but hopefully it would stand it's ground. She definetly wasn't surprised when the final blow from Tharros, Razor Shell, knocked out Scoop, but Terri's heart skipped a beat when Tharros fainted due to the psychic pulses. She had - well, she had actually taken out one of Toru's PokeMon! She definitely was not expecting that to happen; she and Scoop had both noticed that Tharros was gradually getting weaker, but Scoop had apparently put up quite a good fight with his psychic powers and a little bit of practice for bracing up against moves. Even so, he was down and out, so Terri unclipped the Great Ball from her belt and called a happy, "Scoop, return!" It was only then that Terri looked up from the battle field and around at the spectators gathered on the bridge. She blushed considerably at that point, apprently her and Toru had been putting on a pretty great show. She hadn't really had such a big battle in public before; she had battled with other trainers on her journeys, but she felt like - apart from the gym battles inside - this battle between the two teens had been the most exciting, challenging and the biggest battle she had competed in. Still only one of each of the trainers' PokeMon had been used and had been returned as they fainted, and the battle was just heating up. Toru hurriedly threw the Ultra Ball to the ground and, as he did so, yelled at the top of his lungs. "GO, SAITO!" Quickly, with a zap of red from the PokeBall, a green blob-like PokeMon appeared. Terri recognised it as Solosis, a PokeMon she had rarely encountered. It's shiny surface glittered in the bright sunlight above the bridge, and it had a strange look of steadiness and nervousness around it. It was a pretty tough PokeMon, if she remembered correctly, so the PokeMon she was to send out next better be a good one, too. "Try your best; go Errie!" She threw the Heal Ball from her belt onto the battle field and as it opened a small, floating PokeMon with leaves on either side and fluffy 'hair' on the top and botton of its body. It was Errie, Terri's Cottonee, who bounced happily on the bridge in a playful yet ready way. Unlike other Cottonee, the hair on top of his head spiked up a little, like a small quiff. Terri was fascinated by the way that his hair fell and so she caught him when he, and Terri's other PokeMon, were only little. With a nod, Terri called out to Errie to land the first move. "Okay, Errie-kun, use Leech Seed!" 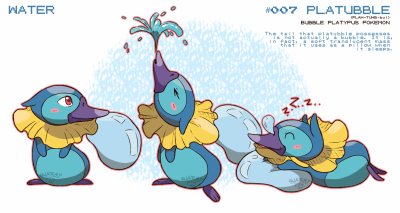 The small cotton-based PokeMon wiggled a little and clenched his eyes shut before bouncing upwards and releasing a small shower of spiralling seeds upon the opponent. The fell with a sparkle and landed on and around the cell PokeMon. Terri smiled; Leech Seed was always rather useful when it came to strong opponents; unless Toru were to switch, Terri's party would get little saps of health from his PokeMon every turn. It definitely wasn't the strongest of amounts of health it took from the foe, but it was a little thing that Errie enjoyed using. "This is fun, Toru~!" Terri said with a giggle. "I hope this round is as fun as the last!" "Cottonee, huh... an interesting choice, I guess..."
Toru pondered Terri's second Pokemon and lifted up his hat, giving his head some air. Cottonee's are known for being quite fast, so Toru was aware that Terri would strike first. The teen stretched, taking a moment to catch up from the last battle. Terri's Pokemon were very strong despite their appearance, and her Cottonee, Errie, appeared to be no exception. Toru was still a little eager to see Scolipede in action - she was watching the battles by Terri's side, and looked desperate to battle too. Putting his hat back on, Toru took a deep breath before giving a focused gaze once again. It was time to commence the second round of battle. Thrusting his left hand out again he commanded Saito. "Okay Saito, let's begin with Psy- what?" "Okay, Errie-kun, use Leech Seed! Toru really needs to focus more. Which is exactly what he did. Unfortunately, because he didn't hear Terri announce her move name, Toru was unsure whether the flourish of seeds was an attack or not, but Terri replying to Toru seemed to validate this. "This is fun, Toru~! I hope this round is as fun as the last!" "Oh I'm sure it will be, my darling! Saito, Psyshock,"
Saito applied with a half - assed cry, trying to act brave like Toru, and materialised his mental power around Errie, before crashing it into him. "This battle will shake the very soul of this bridge!" Though Toru admittedly seemed a little confused as Errie's seeds spawned and spiralled around his PokeMon, the determined look on his face remained. This made Terri smile warmly; he was such a strong, admirable trainer who was always enjoying himself, even in the rough parts. Even though Terri kept telling herself that she had a chance in beating him, she always felt that he was more experienced and tough - and really, because this battle was proving to be so great, even if she didn't loose it wouldn't feel so bad a loss! With a brave-ish cry, little Saito unleashed a strong blow of psychic energy after Toru replied to Terri and instructed Saito to do so. Toru seemed a little bit eccentric - and Terri was sometimes, too - but that was a fun thing about the trainer. Even though the attack was clearly generated with the blob PokeMon's special powers, the wave of released energy hit the small cottony PokeMon quite harshly physically, which surprised him a little. Though Errie's defence was reasonably high, he was definitely thrown off a little by this attack. Errie shook himself a little to try and help him focus again, and quickly. Terri's face lit up as the small sprouts on Saito's body did so too. As they glowed, a yellowy-light trailed over to Errie and he sparkled - Saito's energy was being drained and replenishing Errie! Hardly anything was affected, but it was enough of a psychological boost at least to help Errie focus better and respond to his trainer's next instruction. "Good boy, Errie-kun!" she called, "Now, time for Giga Drain!" Terri was feeling lucky, it was only recently that Errie had learned this move. While be was still swaying, Errie focused his energy into a sort of green light that stretched over to his foe and was intentioned towards hitting the green cell across the battle field and sapping some of its energy back into Errie's body. Even if it hit - which Terri and Errie hoped it would - it wouldn't heal Errie completely. He continued to sway slightly dizzily and a little bit in pain, but - for now - he wasn't too badly hurt. It appeared that Saito had done a good job at damaging Errie with his Psyshock attack, but as soon as the attack finished, Saito yelled as energy was drained out of him. Tobias' eyes widened in shock as it came to his attention that before, Terri had used Leech Seed on Saito. "Dammit! I should have paid attention..."
"Hang in there kiddo! Hit Errie with another Psy - what?" Errie had fired a green light at Saito, and it was now causing Saito even more pain, and restoring even more of the Cottonee's health. Tobias needed to get his act together - If leech seed stabbed into him any more, it would be the end. "Recover Saito - a quick one. I need you to stay consious." Terri heard Toru curse as he realized the effects of Leech Seed. She smiled a little, but she felt for Toru; she knew full well that Leech Seed could truly be a pain. Toru pointed a very determined point at Errie, and called out to his PokeMon; ""Hang in there kiddo!" He yelled, "Hit Errie with another Psy -"
It was at that point that Errie's Giga Drain took its toll on Saito. He was bashed back a little bit, and the energy and health from his body was drained and granted into Errie's body. "-what?" Toru said, looking confused. Saito floated around weakly but kept focus, especially as Toru ordered him to Recover instead of attacking. Terri could tell this was coming; Recover was a very, very handy move to have, and Saito's position made it extra handy. Saito gave Errie an intimidating look, proving that he was more than ready for the next series of attacks. Terri knew that neither Toru or his PokeMon would throw in the towel without a pretty good fight, and she would try her hardest to give him one - even if she was sure that Toru would most probably succeed in winning this battle. She decided that she would give attacking a break for a little, and up Errie's stats instead. "Okay, Errie, use Growth!" Errie glowed a healthy sheen of white once or twice, before bouncing up optimistically. Errie might not be one of Terri's strongest PokeMon, but he would try his hardest.